Looking for seating with all the bells and whistles? The Turbulance power reclining sofa set has you covered. Get double the relaxation—recline your body then adjust your headrest. 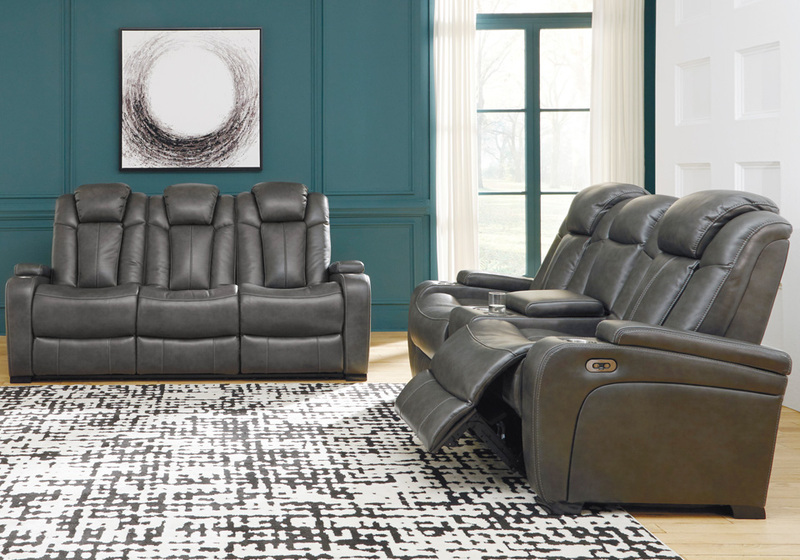 Pull down the middle seat to reveal a drop down table ready to hold your magazines and remotes. 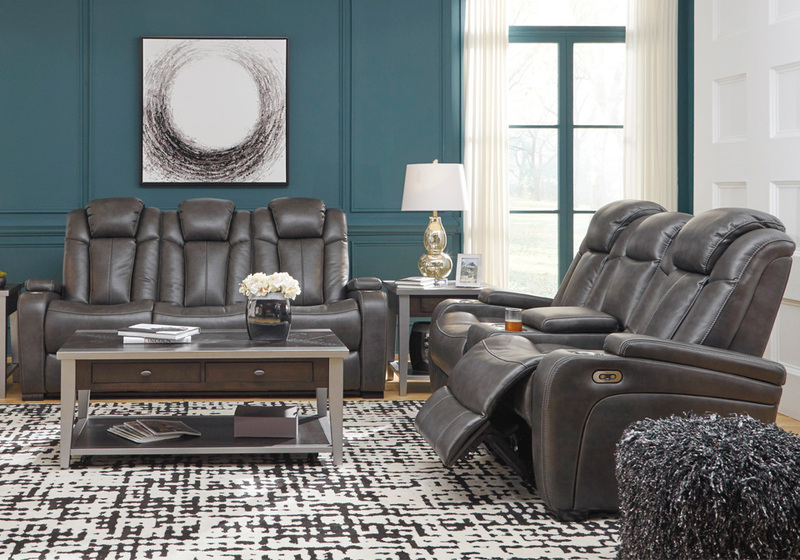 With USB charging ports, your devices will enjoy this sofa set, too. Stainless steel cup holders accompany you on either side. All wrapped up in quality faux leather with fashion-forward jumbo stitching for a look and feel you’ll love.